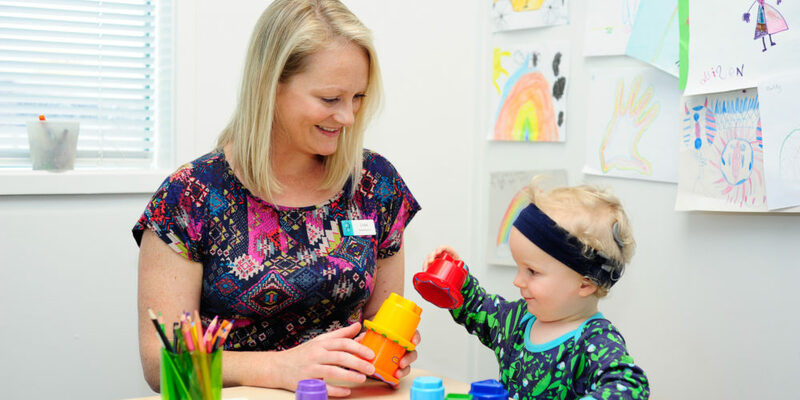 Once a referral has been received from an ENT Specialist, Audiologist or Advisor on Deaf Children, the child is assessed by the Southern Cochlear Implant Programme (SCIP) team. The stages in the assessment process are explained below. Before we can offer cochlear implantation we will need to establish whether this procedure is right for your child. The assessment is carried out over a number of appointments, sharing information and feeding back results with you throughout the assessment. We will take time to listen to your concerns and answer any questions you have. Following the assessment, test results will be explained, a report summarising the assessment will be written and a recommendation made. Further clinic appointments will be needed to assess your child’s hearing, amplification needs and functional aided hearing. The number of appointments required will vary from child to child and will depend on a number of factors, such as their age. The Audiology assessment will determine if a cochlear implant will provide your child more benefit than conventional hearing aids. An evaluation of speech and language will be carried out at the clinic and (as necessary) your home and/or your child’s school. The therapist will also liaise with the local speech and language therapists and others involved with your child’s care. In older children an assessment may involve formal language assessments. In very young children, this may involve checklists and developmental scales. At the end of the assessment process the SCIP team will make a recommendation about a cochlear implant for your child. If the recommendation is to proceed, you will be provided information about implant systems and the process of implantation and follow-up. You may be asked to complete an expectations questionnaire. The programme will likely provide an opportunity for you to meet the family of another child with a cochlear implant. Once you consent, you will typically be offered an operation slot within 4-6 weeks. The admissions team will try to give you as much notice as possible. The device will be activated around two to three weeks after surgery. In cases where families live very far away from the hospital, contact will be through a combination of hospital appointments, implant team outreach support and liaison with local professionals.